The task for Fay’s Nines was to use the numbers from 1-9 to make 999 by adding them using vertical addition. When we started of with the problem we kind of just shuffled around the numbers and see what it equalled but that kind of got us nowhere. Finally we found that the ones column had to equal 19, the tens column had to equal 18 and the hundreds column had to equal 8 you also had to carry numbers. So once we worked out that pattern we tried finding out different combinations for the ones column that equalled 19 and found 30. There was a theory that the combinations for the columns went up by 30 each time. 1 column=30, 10 column=60, 100 column equals 90 and all those added together equals 180. In this project I got up to finding combinations for the columns. In this project I found the start really challenging because we couldn’t think of anything at the start. 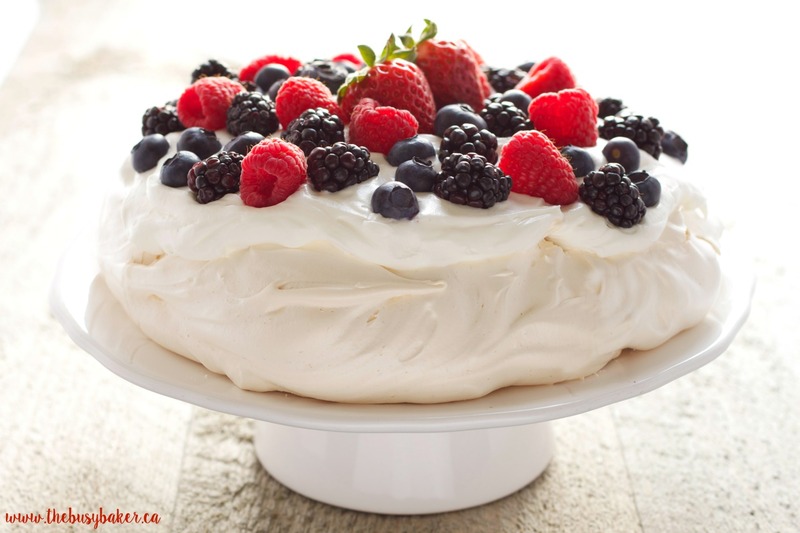 For this terms passion project I intend to make a How To Film teaching the class how to make a pavlova then I will bring in a fresh pav for the class the share. To make the film I will use a camera that we have at home, a tripod that we also have at home and use any of the cooking utensils that I need. My passion project is aimed at all of my class and my parents. I’m looking forward to making the pav and writing the script. In this RVE project we were assigned to make a double sided report on a certain country about there customs and culture. I chose the Philippines. In some ways the culture in the Philippines has been westernised such as the religion which mostly consists of Christianity and variations of it. The clothing is pretty much the same to what we would where here in Australia or other western countries with the males wearing shorts or jeans and a shirt. The woman wear a skirt or shorts/pants and a top as well. But there are some things like the food and the traditional clothing that they wear on special occasions. Foods like brain soup and chicken adobo. If I lived in this culture I think that because the things that they do are very similar to the things that we do here in Australia but I do think that I wouldn’t like a lot of the traditional foods and there would be a language barrier even though a large number of the population would speak English. The space habitat that I chose is a space station orbiting earth and this is why I think it is a great space habitat. In this Digital Citizenship lesson we watched a film about the internet and how it can negatively affect peoples lives if they’re not carful. In it there was different kids that had had a problem with the internet like giving away personal details and getting addicted to it. In this blog post I will be talking about one of the kids called Kieran that had an addiction to gaming ever since he was seven years old. The problem that Kieran had was being addicted to gaming online and playing 14 hours a day. This was really bad for him because he never went outside, didn’t get his school work done and because he was always in front of the TV he didn’t wash and brush his teeth. It got so bad that by the time he was 15 he dropped out of school and this was after his parents had been repeatedly telling him to get of. Eventually Kieran realised that what he was doing was really bad for his personality and health and sais to his dad that he needs help. They took him to a an addiction specialist and got rid of his addiction. I think that Kieran’s parents should have done something earlier to help him like taking away his console or putting some sort of restrictions on his game time. The message that I take away from this is that it is really bad to get hooked or addicted to something so much that it effects your health and social life in a really bad way. I think that it is best not to get addicted to something in the first place and if you do try find some help from friends or family. For my passion project this term I would like to make an information report or a news article about our great barrier reef and how it is dying because of us. To make this project happen I intend to use my the internet, people I know and the some understanding that I already have of the great barrier to gather information I need to tell or show my class why our famous reef is dying and how we can help save this reef. I think that my passion project would be aimed at kids around my age or younger to help them learn about this amazing place of life that could eventually die sometime not far in the future and how them from a young age can help. I’m looking forward to finish gathering my info and turning that information into a professional looking news paper page. So far I have started my research and written down my start on a word document I’m not sure yet how I’m going to present it yet because it kind of has become a TED talk but I will figure it out. I have found out why our great barrier reef is dying and some things that we can do to save it. I have had success in finding information because there are a lot of websites that have information about the reef but like I said I’m not sure yet how I will show my info. I think my next step is to finish the script proof read it with my parents and make it better and once it is as good as I can get it I will work on the way I present it and making it look it really good. I think that I accomplished what I wanted to do I went out multiple times to take pictures at places like the Torquay beaches, the waterfront, the Yarra river and even just my backyard. I put the photos onto my computer and turned them into a slide show of the best. I also pick out my favourites printed them, and then laminated them so I could have something physical to show. I found that it was quite hard to get out of bed on Saturday mornings as early as ten to six just so I could catch the sun before it got to high in the sky but it really payed of because I got some amazing pictures from it. Getting the right technique is trickier than it might seem such as getting the right light for your picture the rule of thirds and even finding different types of pictures and to get each kind looking its best. I always went around with my dad so if I ever needed help with something, I could go ask him and he would help me make that picture better because he’s a much better photographer than me. I think that some of the things he taught me will help me when I’m taking pictures when I’m older. I think if I go out more often at a regular basis with my dad then I could improve my skills with photography so much more and I would have great fun doing it and the best things is that I live in a place and around places that look beautiful so that gives me lots of opportunities for great photography. In this lesson we watched a video that talked about how to act on the internet which is called netiquette this is just play on words for etiquette on the internet or social media. The video talks about this because sometimes when they’re talking on the internet because they’re not talking face to face they forget the manners the would use in real life and start acting like they’re invincible and forget to be kind, courteous and respectful to each other. When people act like this and start writer mean comments to each other this is called flaming and it can become into a flame war if the other person gets annoyed and responds back in the same way. Then it is just a storm of insults getting thrown back and forward. Sometimes there are people that go around on the internet searching and trying to start flame wars these people are called trolls. When you are online everyone one around you is anonymous this means that you have no idea who they are even if they say who they are you still can’t be sure if they are telling the truth or not this is why you should never trust strangers on the internet. The THINK acronym is something that everyone should use when going online because it is a really good guide for being a great digital citizen. These are what the words for it. For my passion project this term want to make a portfolio of pictures that I have taken of Torquay, Barwon Heads and other places near me. I’m planning to learn about photography techniques and how to take really good of landscapes. I’m looking forward show my teachers and classmates how beautiful our home is. This project is targeted at the rest of year 6 to amaze them. Since I started my passion project I have been out a few times to take pictures one of them was in my own garden and one of the other times was at the beach in Torquay. I’m thinking that I will go out a few more times maybe go up to Melbourne by the Yarra or the botanical gardens and then I will make it into a slide show or make a port folio of some of my best photos. I really enjoy going out with my dad and him teaching me how to take really good photos. The most challenging thing so far would be to find the right angles and lighting for the pictures also getting up early enough to catch the sunrise. These are some of the pictures I have already taken.